What’s your assessment of the just- concluded 14th edition of the Maritime Seminar for Judges? What outcome do you expect? There was active participation from the judges, interactive sessions, and you could see from the contributions of judges that we have guessed right because we always see the issues in admiralty law that they are facing or that is giving them challenges. So I think the issue of cybercrime, the issue of the responsibilities of organisations at the ports really stimulated a whole lot of discussions and practical scenarios were discussed. That goes to the heart of why the seminar is, that is to educate the judges on contemporary issues that they have no experience or knowledge on. So I think that the seminar was extremely lively, there was huge participation, not only in numbers but also in discussions. And if you read the communiqué, it is so rich and I think that judges now will be able to handle issues that were raised efficiency. On the appointment of Nigeria Shippers’ Council (NSC) as economic regulator in the sector, would the Nigeria Ports Authority have to relinquish its place as the regulator of terminal operators as mentioned in the port concession agreement? It is not relinquishing as such, but conditions always dictate what happens in the society and there are economic phases or stages and the world economy now dictates what an institution becomes. I will give you the scenario with the aviation sector. The Nigerian Airways was public monopoly, there was no other private airline, but if they are to come now and operate, they will be regulated by one of the regulatory authorities in the aviation sector. What I am saying is that an institution cannot operate and regulate itself. They are all service providers. The Nigerian Ports Authority (NPA) provides marine services. It also charges. It has its tariff. So, somebody has to measure its efficiency. It cannot do that itself. Things have changed with Nigerian Ports Authority (NPA). It is not public monopoly. It is a provider of service and you have to gauge and assess and rate how efficiently they provide the services. The Nigerian Ports Authority itself knows, that is why we have Port and Habour bill. And that Port and Habour bill cannot say the authorities should fix their charges. Somebody must do that. That’s all. And I think there’s no contention about that. Really, there is no contention. Terminal Operators have argued that the integrity of the Council as an economic regulator could be compromised since its core assignment prior to now ,was to protect the interest of shippers. They believe the appointment of the Council as regulator is erroneous as it allegedly stands against the interest of terminal operators. What is your reaction to this? We have been protecting the interest of terminal operators. There is what is called Guaranteed Minimum Tonnage (GMT) payment that they have to make and we have said that some of them should not make such payment because Government has not fulfilled its obligation. We have made the Authorities provide certain things for the terminal operators. Like in Port Harcourt, we have made cases for the provision of the road leading to terminals operators. We have made cases for the review of the concession agreement. The auto policy affected the RORO Terminals and we have made a representation to the government that they should not do that even if you want to change policies, what happens to the RORO terminals now that they are starved of cargo, they should be consulted. So, Nigerian Shippers’ Council is not biased. Nigerian Shippers’ Council is doing everything to bring balance because if we have balance, then the economy will thrive. 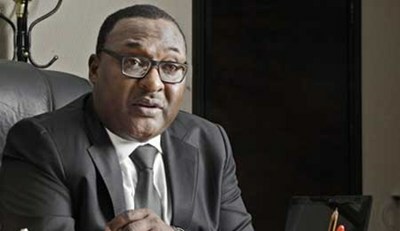 Nigerian Shippers’ Council has scolded the Federal Government about its attitude to the provision of power at the terminals, and the roads leading to the ports or the terminals. We have always said government should bring a marshal plan for the development of the ports. Some of the problems you see is because government has not fulfilled its obligation, it should provide conducive atmosphere. Whether we like it or not, the terminal operators, the shipping companies have changed the way we do shipping in Nigeria. Nigerian ports are on the ascendancy now. They are going to be efficient and we are going to have cargo returning. We have done that, we have brought them cargo from Niger and Chad. We have done so many meetings travelling to Niger to bring them cargo so that they will profit from that. So, it is not true because we are having cooperation, we are working with the terminal operators. The problem is for them to come together because some terminals are good, some are not. That should not be the case. What happened was that there was brigandage, there was a laissez–faire attitude for eight years and nobody was regulating them. I have always given the example of kicking foot ball in the park where there is no referee. Suddenly, the referee will appear, blow the whistle and say these are the rules. You know you are not going to be popular; we are not looking for popularity. We are looking for…You are in this country, do the right thing. Do you go to other countries and do what you are doing here in Nigeria? You cannot be above the law of this country, that we will never compromise and we have a duty to perform, the Federal Government has give us that charge and it is not for them to say that this is how we are going to do it. Never! It will never happen. A number of port users are of the opinion that Nigerian ports are more expensive than their counterparts in the region. What is the Council’s assessment of the situation as the port economic regulation and what are your efforts at ensuring that the market here remains attractive? We want the port to be attractive. What we are trying to do is to make Nigeria the destination for cargo. The more cargo we get, the more it is profitable. The more it is profitable for terminal operators, for shipping lines, for the freight forwarders, for NPA, for NIMASA and the economy in general. That means the transportation sector will have a boost, the warehouse sector will have a boost; that means more employment and contributions to the GDP. What people do not know is and I think so many things are married to it is that we are in competition. Before a shipper will want his goods to come to your ports, he will consider a lot of issues. How many documents will I sign before I bring my goods out of the port? Is that port automated? Can I track my cargo? What is the dwell time for cargo? How many free days do I have? What is the tariff? How much am I going to pay? It is a matter of economics. It is not a matter of us decreeing that Nigeria is hub. You can’t decree that! It is a matter of efficiency and competitive pricing and that is what we are urging the terminal operators to do. Look at what has happened in other ports and copy it. Because if they are competitive, if their prices are fair, reasonable, then, they will have more profit than they are having now. And why should we be having problems because we say that? So, it is a matter of moral persuasion or moral suasion. It is a matter of economics and also one of obeying the laws of Nigeria. The concession agreement allows terminal operators to review their prices upwards in line with inflation or high cost of operations? Yes, they could review but it is not unilateral or arbitrary. Even the Nigerian Shippers’ Council Local Shipping Charges Act says nobody can increase without consultation or negotiation with Nigerian Shippers’ Council; neither will NPA do that nor any terminal operator. The reason is obvious. If you allow anybody to raise charges as they will, everybody will just leave. Does it make sense for an operator to raise his cost just like that? What I want to say is that the tariff and their cost can never be fixed. There are many reasons they may have for reviewing upwards these tariffs, and they are genuinely there basically but bring these things for consideration and approval. That is what is done in civilized countries. That is what is done in every civilization. Nobody is saying, this is one naira and it is going to be like that for 20 years. No! But there are processes; there are mechanisms of bringing about such a review. We have done that…we (the Council) benchmarked NIMASA 3% levy. We have done that with NARTO when they wanted to fix the price of haulage from Lagos to Kano. They came and said please the tyre of the trailer was X, not it is Y. And we sat down with them and we put a rate- the lower and the upper. There is a gap in between because of competition. They may not all have the same fixed rate. Another issue is competition. People see STOAN (Seaport Terminal Operators Association of Nigeria) as a cartel. They cannot come together and fix prices. That is anti- competition. It is anti-trust. There should be competition. Have you ever seen advertisement of a terminal? That’s because they don’t care. But if you have competition, that means there is no distortion in the market and you can say no regulation. Because some industries are not regulated, they regulate themselves because of the level of competition. The consumer is king. He should have options. He should have choices. That is what the shipper should be able to do. But as it is now, we have efficiency on the sea side of it. We have NPA also fulfilling its obligation because they have introduced a lot of things now that are helping Nigerian ports become more competitive- electronic Ship Entry Notice, even the electronic payment. Before, it was six days before you pay but now, it takes seconds. That is what we want our ports to be. We want our ports to be automated. We want to have trade facilitation mechanisms that will increase the efficiency of our ports and have us rank high in ease of the cost of doing business. That’s what Shippers’ Council is interested in. And you have to guard against and check. For example, there was one time Shippers’ Council and other organisations were called to review the concession agreement and we said no. We said you cannot review the concession agreement without the terminal operators because they know where the shoe pinches; we will be doing it unilaterally. So, we are fair. It is just that some people are above the law and that cannot happen. What that want is for Shippers’ Council to go and lie down. We have been given assignment and we go to bed? And allow anything to happen? That is not going to happen! It is impossible. Let’s move away from terminal operators to what the Council has done to protect the interest of shippers in recent times. Is your quest for the adoption of a simplified single payment document that encompasses payments to Customs, NIMASA, NPA, and all other agencies really achievable? We will attain that. We have a minister who is so passionate and has quick understanding as regards trade facilitation because he has basis for comparison. Shippers’ Council started out protecting cargo but what it is doing now is protecting shipping on both sides. Single window is a one stop shop, an electronic interface. It is going to reflect what all the agencies are doing and it is open and transparent. With this, you know if an agency is not doing what it is supposed to do, you can see that and you from the comfort of your bedroom, you can track your container up to the time it comes to you, you can make payments to the ports, do everything and clear your things. So, it is fast track, electronic, open and transparent. The implication of this is that Nigeria is moving up. The implication is that there are no hidden charges. Government revenue will boost. It is just like the Cargo Tracking Note (CTN) which somebody described as the card reader because there is no hiding place and that is why you have opposition to it. Every time you try to introduce new things, there will be opposition. When we were doing the CTN, someone came to me who is a representative of some traders and said please we don’t want the CTN. I said why and he said because I under- declare. So we understand these things. But the minister, nobody can stop him from bringing the reforms. And the Shippers’ Council is with him. And if we do that, you will see the contributions of the maritime industry to the economy. Then we can close all the oil wells. The maritime industry can finance the budget of this country. It is a painful thing that people are used to doing what they want but this government cannot tolerate impunity from anyone. It is not possible! What we had before was doing things anyhow. Now the thing has changed. People must change. On the Cargo Tracking Note (CTN) and Inland Container Depots (ICDs), what is the update as at today? The ICTN as we said is good, but we are looking at the bigger picture of a single window. We want to see how we will be able to manage all of them. It is there but the ultimate is the National Single Window and you know this is done with the cooperation of the Customs. Customs too is a very important organisation. In fact, Customs has shown the way towards electronic interface and have cooperated with the Council so much in its regulatory role. It has recognized very quickly what we can do. So, the culmination of these two is good. As for the inland ports, it is also a very important way of bringing the cost of shipping down. You ship things and they will be examined at the inland ports. So what is the implication? You know all these trucks coming to the ports; you won’t see them because the goods will be taken to the door step of the shipper. And then the economies that Lagos State and Rivers State have been enjoying at the sea ports will be replicated in these dry ports. Somebody said the economy will bounce because of the ripple effect – factories, consolidations such warehouses, and then we have neighbours that are landlocked and we have an international obligation to ferry their cargo there. That way, inland ports will be ideal. We have got one in Kaduna. We are thinking of one in Isiala Ngwa, Funtua, they have got technical partner. Kano has got technical partners and they are all swinging into construction. I was in Jos two weeks ago with the Governor of Plateau State who came to our office personally in Shippers’ Council to make sure that this port begins. And when I went, the port in Jos is being constructed. These are modern infrastructure because the infrastructure deficit in the transport sector is so huge but that does not mean it is insurmountable. Any time you have infrastructure, the chain is production, development. Now, look at all the waste in agricultural produce in Northern Nigeria, if we have factories concentrated near the ICDs, then these produce can be evacuated and now we have to export or we perish.